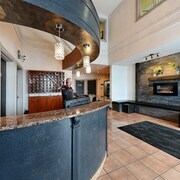 The breakfast and dinning area was a great plus to our stay..
Where to find Roberval hotels near an airport? 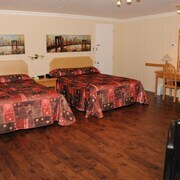 Where can I find hotels in Roberval that are near tourist attractions? 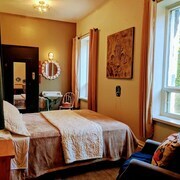 Are you wanting to book an apartment or hotel in downtown Roberval? You'll find 6 Expedia-listed apartments and hotels within a 0.1-kilometre (0.06-mile) radius of the heart of town. 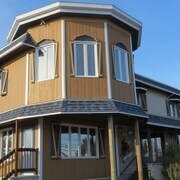 Among the most centrally located lodgings of downtown Roberval are the Gite La Brise Du Lac and Motel Castille. 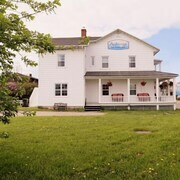 20 kilometres (13 miles) from the center of Roberval, is the Hôtel de la Boréalie. The Hôtel Château Roberval is 1 kilometre (1 mile) away. Some other Expedia-listed accommodation options include the La Maison Banville gîte café-bistro and the Village historique de Val-Jalbert. Once you have explored Roberval, why don't you tour a little more of the region? The Lac Saint-Jean - Saguenay district has a number of attractions waiting to be explored. Nature lovers will appreciate Lac Saint-Jean - Saguenay's beaches. In addition you could spend time at the area's old towns, shrines and history museums. Visitors and locals alike in this part of Canada commonly enjoy snowboarding. Looking for things to do? Consider spending some time discovering Parc de Falaise and Ville d'Alma Spectacles, which you'll find in Alma, 40 kilometres (26 miles) to the east of Roberval. Expedia-listed Alma hotels and accommodations are the Hôtel Universel and Comfort Inn Alma. Alternatively, you could stay in St. Felicien, 20 kilometres (14 miles) to the northwest of Roberval, where you can pick from the Appartement Bellevue and Auberge des Berges. While in St. Felicien, set aside some time to visit the Rigolfeur and Wild Zoo of St. Felicien. Get your sports fix by taking a trip to Centre Georges-Vezina, which is 85 kilometres (54 miles) to the east of Roberval. 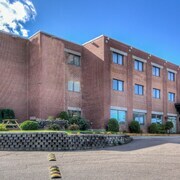 Book a hotel near the action at the Hôtel Chicoutimi or the Comfort Inn Chicoutimi. Roberval features some great attractions for locals and visitors alike; learn more by visiting Expedia's informative Roberval travel guide. 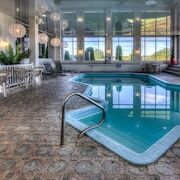 What are the most popular Roberval hotels? Are there hotels in other cities near Roberval? 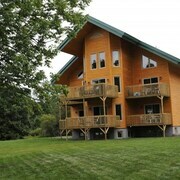 What other types of accommodations are available in Roberval? 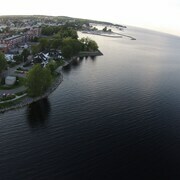 Explore Roberval with Expedia.ca’s Travel Guides to find the best flights, cars, holiday packages and more!